GRAS is an architecture and design practice which thrives on collaboration. 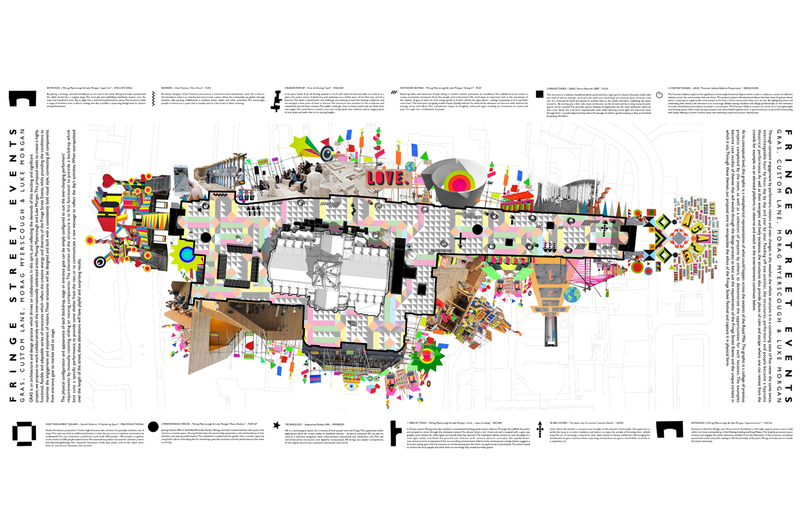 In this spirit, and reflected the demands of this exciting and significant project, we proposed to work collaboratively with the internationally celebrated artists: Morag Myerscough and Luke Morgan. 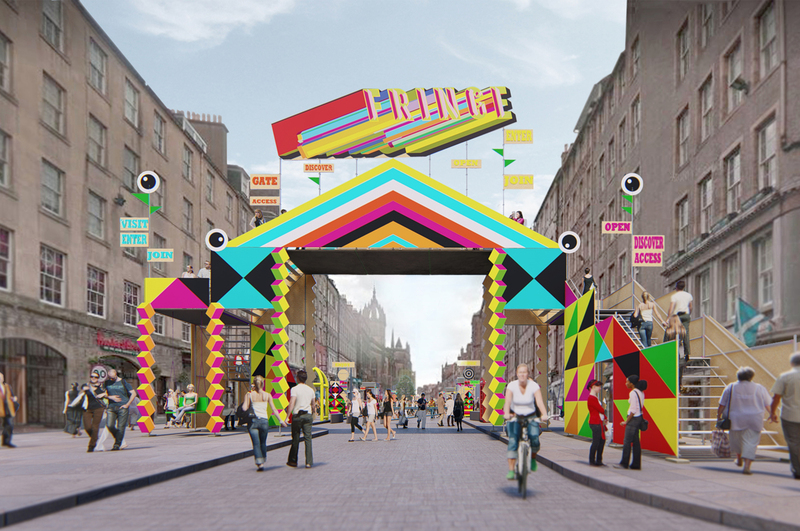 This proposal seeks to create a highly functional, flexible and adaptable series of structures which reflect the creative energy and diversity of the Fringe Street Events, while providing the conditions to maximise the engagement and enjoyment of visitors. 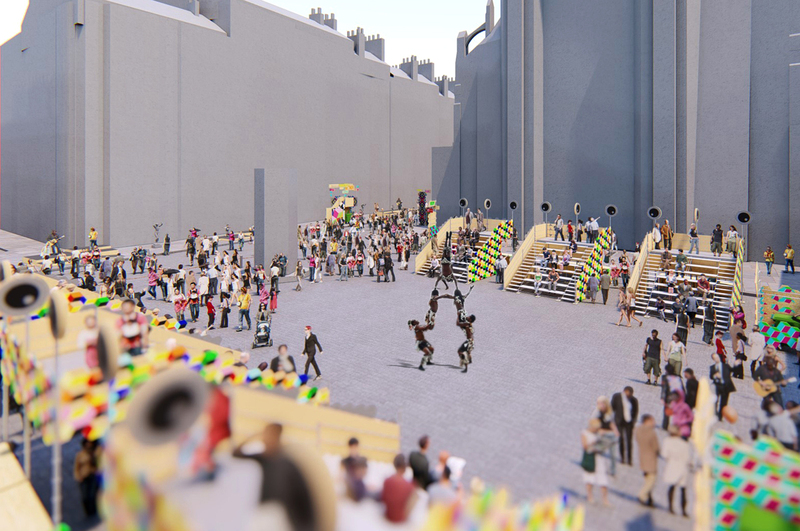 These structures will be designed and built with a consistently bold visual style, connecting all components from entrance gate to market stall to stage. The physical configuration and appearance of each backdrop, stage or entrance gate can be simply configured to suit the ever-changing performers’ requirements by manually rotating, sliding or moving components. The alteration of the structure is at first functional: to provide a backdrop which best suits a specific performance; to provide some shelter from the rain; or to communicate a new message to reflect the day’s activities. When extrapolated over the length of the street, these alterations will have playful and surprising results. 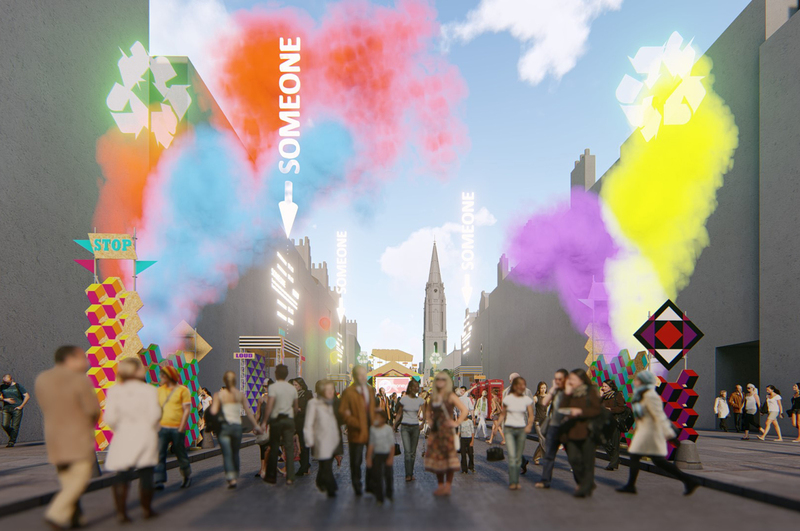 Introducing an element of augmented reality to the structures, the experience gains another layer where the visitors can navigate through the events and find more information about the ongoing events. Through constant engagement by performers, visitors and even changes in the weather, the whole structure is in a continuing state of flux: never the same twice; interchangeable hour by hour, day by day and year by year. Feeding off one another, the structures, performers and people become a hypnotic theatrical performance. As well as their energetic and lively existence, the structures also provide places of calm and escape where one can retreat from the crowds for example via an elevated platform, to observe and watch as the entertainment continues below.